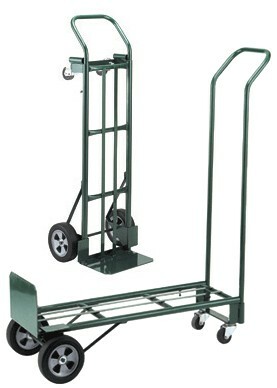 Converts from a 2 wheeled hand truck to a 4 wheeled platform truck in seconds! 14" wide x 42" long platform. Dual center straps for carrying smaller packages. Removable handle for oversize loads.